I thought I would talk through what is inside my makeup bag which lives in the car, these products need to be quick and reliable. I have grown to love them all and rely on them to make me look human, even when I'm not feeling it. My main go-to has to be the Glossier Stretch Concealer (Light - £15.00). It applies and blends easily with my fingers, covers well and lasts all day. I'm still really surprised by how much I love this one. I apply it under my eyes, my nose and any spots to cover. To add a little colour I reach for a Bobbi Brown Pot Rouge (Shade Discontinued - £22.00) or the Clinique Chubby Stick Blush (Robust Rhubarb - £20.00). I apply and blend across my cheeks using my fingers. The Pot Rouge can also be used as a lip colour too - which is really pretty. The Clinique Chubby Stick Highlighter (£20.00) adds some much-needed glow to my face. Smearing this everywhere and blending it in with my fingers can help me feel a little more human. A quick coat of a mascara then does the trick, right now I am using a travel size of the Clinique High Impact Mascara (£7.00). 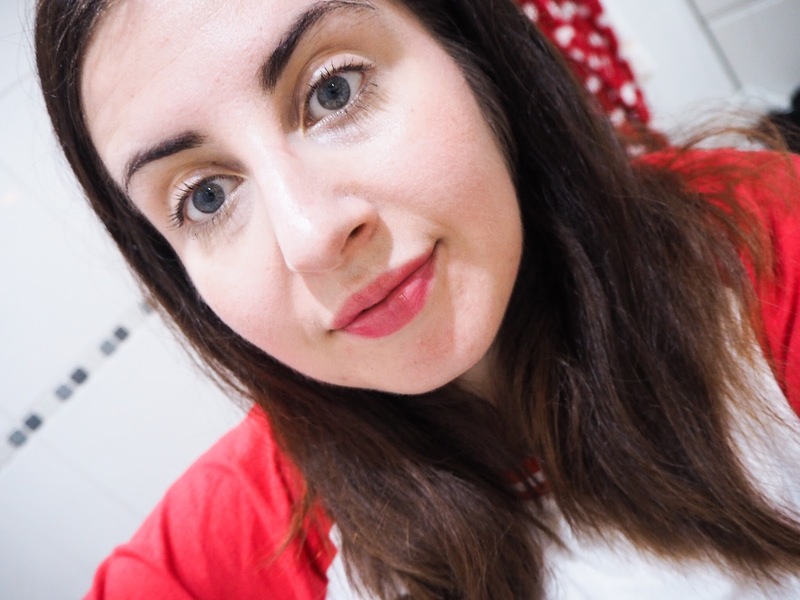 For lips, I either use the Pot Rouge, my trusty Fresh Sugar Lip Treatment* (£21.50) - which is tinted slightly pink, or I use the Clinique Chubby Stick (£18.50) for a bit more colour. I love how comfortable all of these are to wear, and how they really are super easy to apply. Just a quick swipe of colour and we are good to go. Sure, it is nowhere near as good as a full face, but sleep is too good to pass on sometimes. So this is a pretty common face for University. Quick and easy. 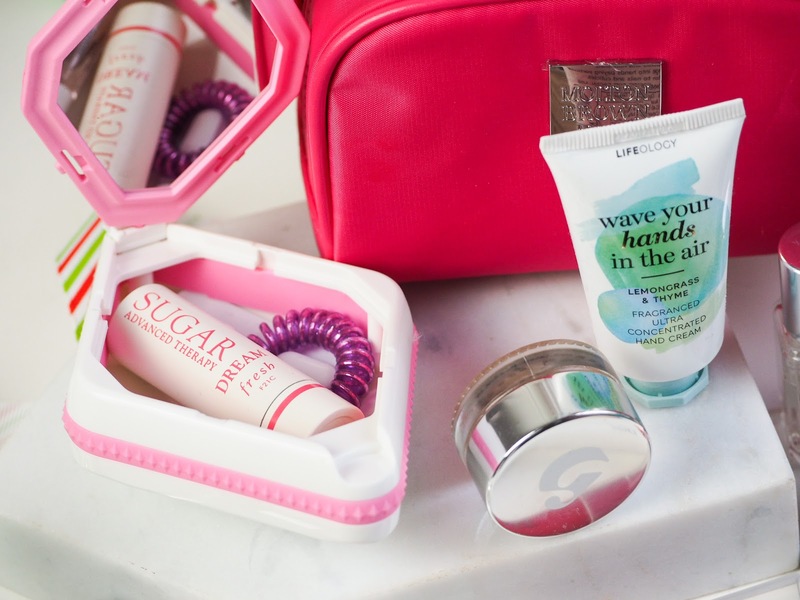 Within my bag, I also carry the Lifeology Hand Cream* (£3.50) for when my hands are feeling rough. Perfume samples in loads of different scents - something to suit every mood, and an Invisibobble (£6.00). Oh, there is also some paracetamol, for those really bad mornings. Maybe one day I will be organised enough to be able to do my makeup and hair before I leave the house, but until that day I will be relying on this to look half presentable. 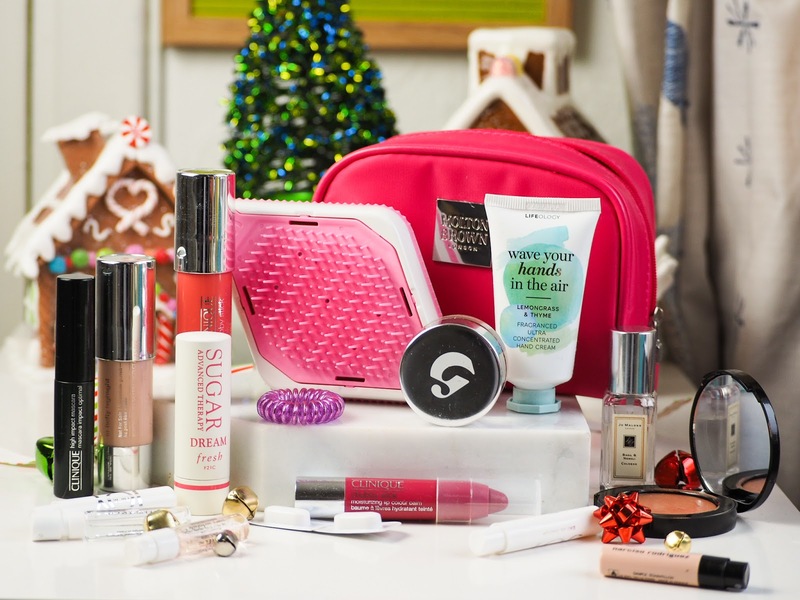 What is your favourite on the go product? Let me know in the comments below.